You may not know Steven Anderson’s name, but you certainly know his work. He’s the minister of the Faithful Word Baptist Church. Maybe you remember his call for all gay people to die of AIDS by Christmas. Needless to say, he’s not the most popular guy. 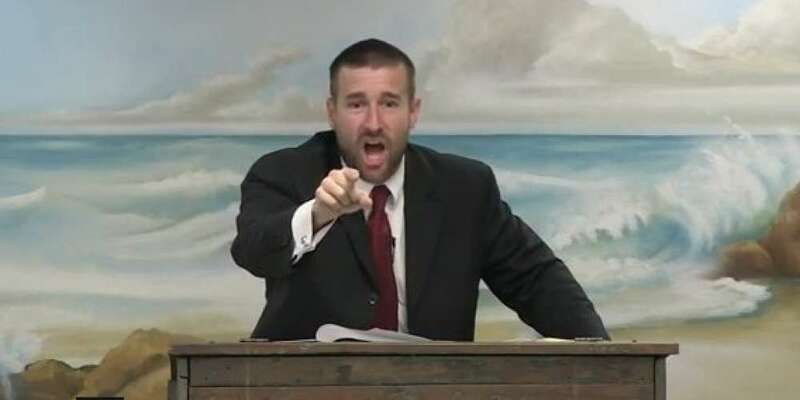 But the upcoming Steven Anderson Jamaica trip might be cancelled, as a new petition has surfaced calling for the government to ban the pastor from entering the country. Here’s the good news and the bad news about this. The good news is that there’s 50 less pedophiles in this world, because, you know, these homosexuals are a bunch of disgusting perverts and pedophiles. That’s who was the victim here — a bunch of just disgusting homosexuals at a gay bar, okay. The bad news is that this is now going to be used, I’m sure, to push for gun control where, y’know, law-abiding, normal Americans are not going to be able to have guns for self-defense. 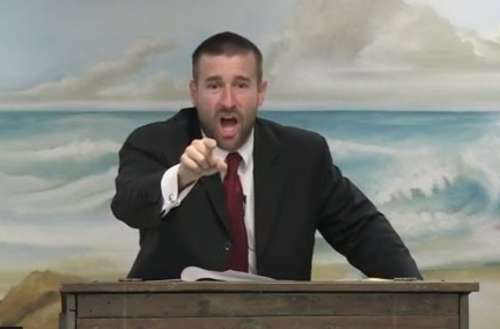 And then I’m sure it’s also going to be used to push an agenda against so-called “hate speech.” So Bible-believing Christian preachers who preach what the Bible actually says about homosexuality — that it’s vile, that it’s disgusting, that they’re reprobates — y’know, we’re gonna be blamed. It’s comments like these that have led Jay John of Jamaica to launch his petition to stop Anderson’s planned “mission trip” to Jamaica at the end of the month. Anderson is planning to arrive on Jan. 29, and stay until Feb. 4. While change.org petitions have a bad reputation, it was a similar petition that led to Anderson being banned from entering South Africa. For what it’s worth, it’s not just the LGBTQ community Anderson hates. He’s also an anti-semite. He made a film saying Jews are “followers of the Antichrist” and has denied the existence of the Holocaust. He’s also made films including Marxist Lucifer King, Professing Themselves to Be Wise: Foolish Scientists Exposed and Iceland: A Nation of Bastards. As of this writing, over 1,100 people have signed the petition. The Jamaican government has yet to comment.